The release of FBI agent Peter Strzok’s text messages has touched off a partisan debate in Washington over whether his anti-Trump and pro-Hillary Clinton comments undermine his work on the Clinton email as well as the Russia investigation being conducted by Special Counsel Robert Mueller. Republicans argue that Strzok’s texts, which he exchanged last year with Lisa Page, his mistress who also worked on the Mueller team, mar his work on both of those investigations. Democrats are downplaying the exchanges and accusing Republicans of hyping texts in order to protect Trump from Mueller. July 10, 2015 — FBI opens the Clinton email investigation in response to a referral from the Intelligence Community Inspector General. Feb. 27, 2016 — Strzok interviews Jake Sullivan, a former Clinton State Department aide and adviser to her campaign. “God Hillary should win. 100,000,000-0,” Strzok writes. April — The law firm for the Clinton campaign and DNC hires opposition research firm Fusion GPS to investigate Trump. Fusion would go on to hire Christopher Steele, the former British spy who authored the infamous dossier. April 5 — Strzok interviews Clinton aide Huma Abedin. April 9 — Strzok interviews Clinton aide Cheryl Mills. May 16 — A draft of a statement that then-FBI Director James Comey was preparing to release at the conclusion of the Clinton email probe was circulated among top FBI officials, including Strzok. “Please send me any comments on this statement,” wrote FBI chief of staff James Rybicki. May 24 — Strzok interviews Clinton aide Heather Samuelson. June 20 — Steele writes the first of 17 memos that make up the dossier. He alleges that the Kremlin has recruited Donald Trump as an asset and that Russian operatives had been feeding the Trump campaign negative information about Clinton. June 27 — Then-Attorney General Loretta Lynch meets in secret with former President Bill Clinton. The meeting forces Lynch to step away from the Clinton probe. July 2 — Strzok and Justice Department lawyer David Laufman interview Hillary Clinton. July 5 — Comey announces that he would not refer charges against Clinton to federal prosecutors. July 5 — Steele meets with an FBI contact to provide a briefing of the unverified rumors he had picked up from Russian sources. 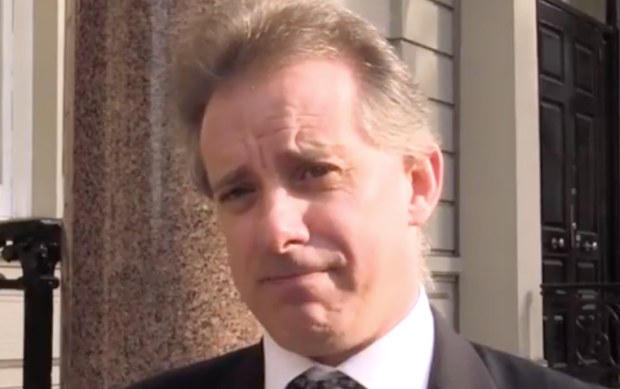 July 19 — Steele writes the second memo of the dossier. It alleges that Trump campaign adviser Carter Page and campaign chairman Paul Manafort were handling the collusion effort with the Kremlin. Both have since vehemently denied the allegation. Late July — Strzok is handpicked to supervise a newly-opened FBI counterintelligence probe into Russian interference, including Trump campaign collusion. It remains unclear what sparked the investigation, though Republican lawmakers increasingly suspect that the Clinton-funded dossier was the catalyst. July 26 — Strzok congratulates Page on Clinton’s official presidential nomination. “Congrats on a woman nominated for President in a major party! About damn time! Many many more returns of the day! !” he writes. July 26 — A Wall Street Journal reporter contacts Carter Page to ask him about allegations that match what Steele wrote about him in the dossier. Steele alleged that Page met in Moscow earlier that month with two Kremlin-connected officials. Page has repeatedly denied having the meetings. July 28 — In a cryptic text, Strzok appears to refer to some sort of investigation. “Opened on Trump? If Hillary did, you know five field offices would…,” he writes. “Maybe you’re meant to stay where you are because you’re meant to protect the country from that menace,” Page writes. “I can protect our country at many levels, not sure if that helps,” Strzok replies. Aug. 15 — In one eye-catching exchange, Strzok and Page appear to discuss a conversation that took place in the office of Deputy FBI Director Andrew McCabe. “I want to believe the path you threw out for consideration in Andy’s office — that there’s no way [Trump] gets elected — but I’m afraid we can’t take that risk,” Strzok wrote to Page. Aug. 25 — CIA Director John Brennan provides what has been described as a “special” briefing to then-Senate Majority Leader Harry Reid. Aug. 27 — Reid sends a letter to Comey referencing allegations made about Carter Page in the dossier. September — Steele, acting on the direction of Fusion GPS, meets with reporters at The New York Times, The Washington Post, CNN, The New Yorker and Yahoo! News to provide briefings about the dossier. Sept. 23 — Yahoo! News reporter Michael Isikoff publishes the first news article about the allegations against Page. The report is based on Steele’s allegations, though Isikoff did not disclose Steele’s involvement or the dossier’s existence. Oct. 31 — David Corn at Mother Jones publishes the first article quoting Steele, though not by name. Corn refers to Steele as a “Western intelligence source” and lays out the allegations about the Kremlin having compromising information about Trump. Late Nov. — Fusion GPS founder Glenn Simpson meets with Justice Department assistant deputy attorney general Bruce G. Ohr. Simpson disclosed this month that Ohr requested the meeting. Ohr had met prior to the election with Steele. Ohr’s wife, Nellie, worked as a researcher for Fusion GPS on its Trump project. Nov. 18 — A Steele associate named Andrew Wood informed Arizona Sen. John McCain about the allegations made in the dossier. Nov. 28 — David Kramer, a McCain associate, flies to London to meet with Steele. They arrange for McCain to be provided copies of the dossier. Dec. 5 — Strzok reportedly briefs the House Intelligence Committee on the Russia investigation. Dec. 9 — McCain meets with Comey to discuss the dossier. Dec. 13 — Steele writes his final memo for the dossier. Jan. 10 — CNN reports that the briefing took place. BuzzFeed News follows up by publishing the dossier in full. Jan. 13 — At the urging of Democrats, the Justice Department’s inspector general opens an investigation into the FBI’s handling of the Clinton email investigation. Clinton allies are upset at Comey’s handling of the probe. Jan. 19 — The New York Times reports that U.S. intelligence officials had intercepted communications between Russians and Trump associates. Details of the contacts are vague. Jan. 24 — Strzok and another FBI agent interviews then-national security adviser Michael Flynn about his conversations the month before with Russian ambassador Sergey Kislyak. Flynn later pleaded guilty to lying to the FBI during that interview. Feb. 13 — Flynn is forced to resign, purportedly for lying to Vice President Mike Pence about his contacts with Kislyak. Feb. 14 — The Times reports that there had been “repeated contacts” between Trump associates and Russian operatives. Details of the contacts are vague. Feb. 16 — CNN publishes an article stating that law enforcement officials believed that Flynn did not intentionally lie to the FBI during his interview. May 9 — Trump fires James Comey as FBI director. May 17 — Deputy Attorney General Rod Rosenstein appoints Robert Mueller as special counsel to oversee the Russia investigation. July 13 — CNN reports that Strzok joined Mueller’s team. It is unclear if Strzok joined at that time, or if he had worked for Mueller since his appointment in May. July 20 — The FBI provides the Justice Department’s inspector general with text messages exchanged between Strzok and Lisa Page, his mistress and an FBI lawyer who also worked on Mueller’s team. The texts were for the period between 2015 and Nov. 20, 2016. After reviewing the texts, the inspector general expanded its review to include all of Strzok and Page’s exchanges through July 2017. July 26 — FBI agents acting on a warrant obtained by Mueller raid the Virginia home of former Trump campaign chairman Paul Manafort. 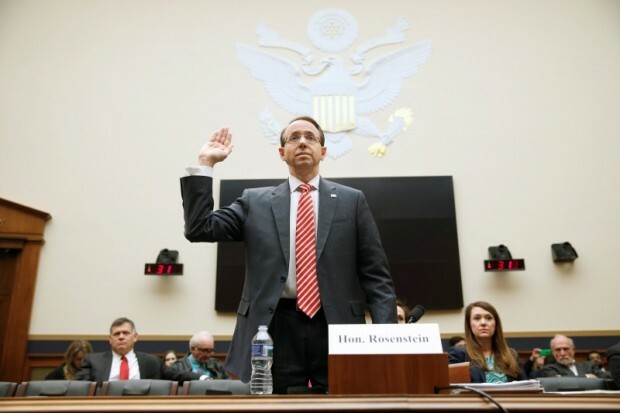 July 27 — Inspector General Michael Horowitz briefs Mueller and Deputy Attorney General Rod Rosenstein on the Strzok texts. Mueller’s office now says that Strzok was “immediately” removed from the investigation and placed at FBI’s HR department. July 28 — FBI agents arrest former Trump campaign adviser George Papadopoulos. He is later charged with lying to the FBI during an interview in January. He was not interviewed by Strzok. Aug. 24 — House Intelligence Committee chairman Devin Nunes subpoenas the Justice Department and FBI for documents related to the dossier. The committee believes that Strzok was involved in handling the document. Oct. 11 — Nunes asks Rosenstein about the committee’s request to interview Strzok. Oct. 31 — FBI officials refuse the committee’s request to interview Strzok. Nov. 29 — According to The Washington Examiner, Nunes again asks Rosenstein to make Strzok available for an interview. All of the requests appear to have been denied. Dec. 1 — Flynn pleads guilty to lying to the FBI during his Jan. 24 interview with Strzok. Dec. 2 — The New York Times and Washington Post report that Strzok had been removed from Mueller’s team because of his politically-charged text messages. After the publication of the story, the Justice Department informs Nunes that Strzok will be made available for an interview. Dec. 7 — Fox News reports that Bruce Ohr had been stripped of his title as assistant deputy attorney general after the revelation that he met with Steele and Simpson last year. It is later reported that his wife, Nellie Ohr, worked last year for Fusion GPS. Dec. 11 — Deputy FBI Director McCabe backs out of a House Intelligence Committee interviewed that was scheduled for the next day. Dec. 12 — The Justice Department releases 375 text messages exchanged between Strzok and Page.